American composer Steve Reich is hailed for his work as a pioneer of the minimalist music movement. This monumental performance – a single work – features Reich’s rarely staged Music for Eighteen Musicians in an intimate concert experience. 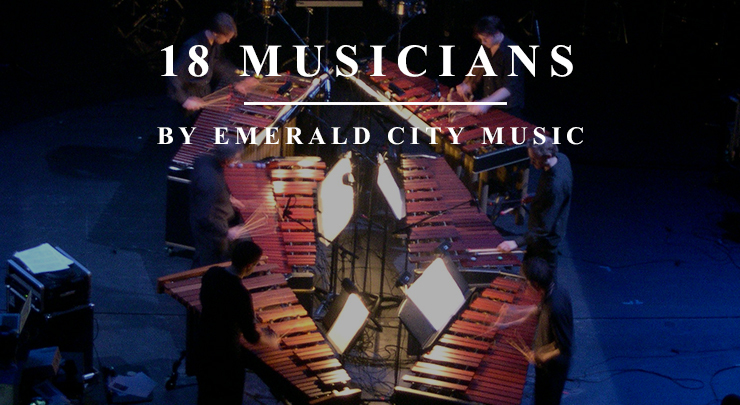 For this momentous occasion, a cast of vocalists, percussionists, pianists, and chamber musicians gather from around the globe in the Northwest.